and the Golden Gate Bridge before turning for home. 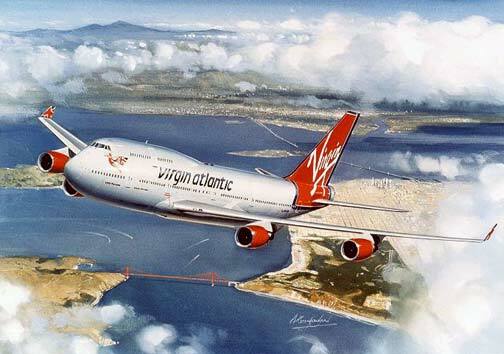 A Virgin Atlantic Boeing 747-400 passes San Francisco and the Golden Gate Bridge before turning for home. This fine art print shows this huge aircraft beautifully. Released as a limited edition of 250 each of these fine art prints is signed and numbered by the artist ANTHONY Cowland G.Av.A.